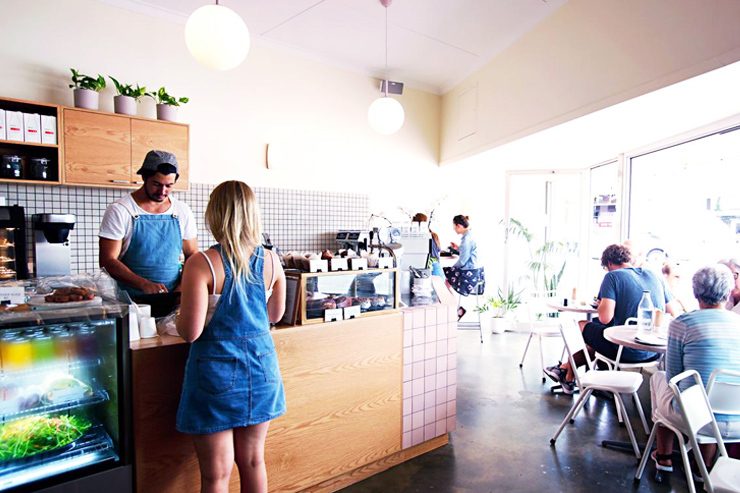 After opening in Floreat earlier this year, Someday Coffee Co quickly became one of the most Instagrammed cafes in all of Perth. It’s as pretty as a picture with pastel pink accents, bright whites and loads of indoor greenery, but it’s the coffee and the food that will have you coming back over and over again. Owned by a trio of hospitality gurus—Jess Chisari-Sneeuwjagt and Joel Sneeuwjagt, the husband and wife team behind Subiaco’s Stimulatte and Courtney James Smith who is responsible for bringing Guzman y Gomez to Perth—it’s pretty clear this isn’t their first rodeo. If you don’t get there before about 9am on a weekend, you’ll be greeted by loads of beautiful people spilling out on to the street. Don’t worry, most of them are just waiting for takeaway coffee so head inside and see if you can score a table. One look at the all-day menu and you’ll be in pure agony trying to decide what to get. One of the favourites has got to be the carrot hummus and avocado toast. Served with a good wedge of lemon and a generous sprinkling of dukkah, it’s perfect as is, or you can up the ante with the addition of a poached egg or two. The Mexican beans with poached eggs, guacamole and coriander is also a winning dish with just the right amount of spice to wake you up. If you prefer sweets in the morning, I’d recommend the chunky banana granola. It’s as much a treat for the eyes as it is for the taste buds, and the caramelised banana is next level delish. The tropical smoothie bowl is also pretty amazing with mango, banana, turmeric and coconut, a good sprinkling of granola and fresh fruit on top. 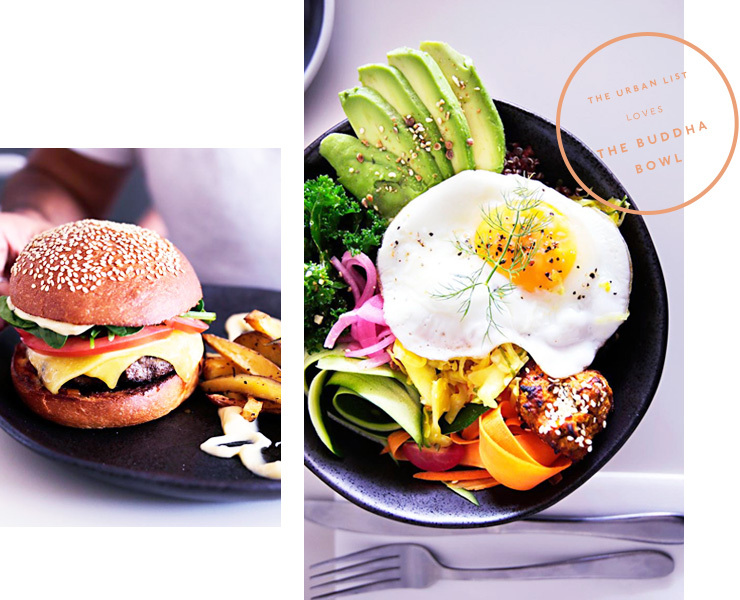 If you’re in the mood for lunch, you need to try the Buddha bowl! With sweet potato falafels, house made beans, thyme roasted mushies, turmeric sauerkraut and loads of vegies all topped with a fried egg and some more of that delicious dukkah—it has to be one of the best Buddha bowls in Perth! Even if you’re not hungry, head here for a coffee—both the cold brew and the regular stuff are made to perfection, plus they do batch brew if you’re into that—and grab one of the takeaway salads or wraps from the cabinet, because even if you weren’t hungry when you walked in, you will be when you walk out empty handed! Open seven days a week, you’ll want to get to Someday Coffee Co nice and early to avoid the rush.